SAN ANTONIO, Sporting Alert — The Houston Rockets made 22 shots from 3-point range en route to handing the San Antonio Spurs their heaviest playoffs home loss, following a 126-99 victory in Game 1 of the Western Conference semi-finals on Monday night. Game 2 is Wednesday in San Antonio again. Trevor Ariza scored 23 points, while James Harden had 20 points, 14 assists and three steals for Houston, which jumped all over San Antonio in the opening minutes and cruised to victory at the AT&T Center. Clint Capela added 20 points and 13 rebounds, Ryan Anderson chipped in with 14 points and six boards, while top reserves Lou Williams and Eric Gordon ended with 13 and 11 points, respectively for the Rockets, who led by 29 at the end of the third quarter. Houston led by as many as 39 points. 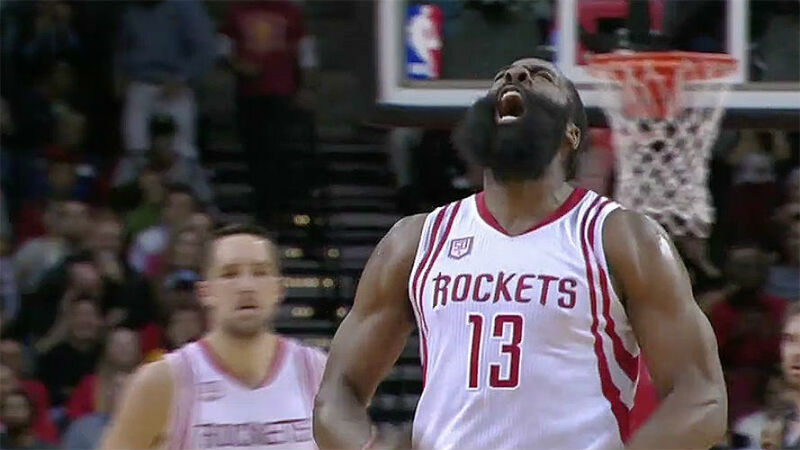 “We are going to have to be in sync and focused like this in every game,” Harden said. “San Antonio is a veteran team, and they are capable of getting hot at any moment. I have to limit them. We were just taking what their defense gave us. Kawhi Leonard led the Spurs with 21 points and 11 rebounds, but shot just 5-of-14 from the field before sitting out the fourth quarter. Tony Parker and Jonathon Simmons added 11 points apiece, while star forward LaMarcus Aldridge was held to just four points and six rebounds and only eight points from Danny Green in the defeat. San Antonio bench outscored the reserves of Houston 51-42, but the Rockets’ starters bettered the Spurs’ starting players 77-44 in the first three-quarters and 84-48 in the entire game. “You have to play like a champion, and that’s what we did today — that’s just one day,” Rockets coach Mike D’Antoni said. “We need to repeat this three more times. We were locked in and competed well. Our defense was good, and we hit some shots. Meanwhile, Houston reserve center Nene was ejected at the end of the third quarter after pushing San Antonio’s Dewayne Dedmon, who was also dismissed later. Dedmon and Harden got into an altercation and got in each other’s face. Nene pushes the Spurs center and was thrown from the game.